Tuskegee starts hot but Morehouse quickly put their fire out on Saturday. ATLANTA, GA – The No. 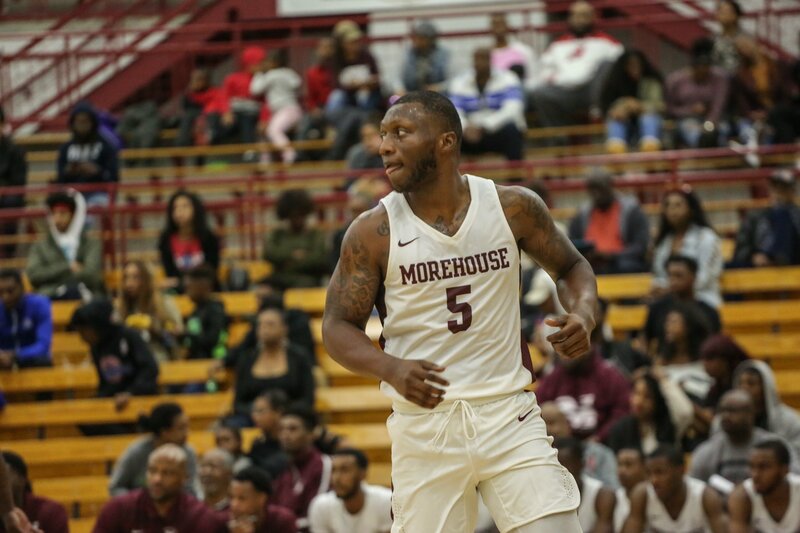 11 ranked Morehouse College cruised to a 73-58 victory over Tuskegee University in both teams SIAC openers Saturday afternoon in Atlanta, Ga. The Maroon Tigers remain undefeated and are 4-0 overall 1-0 SIAC while the Golden Tigers remain winless and fall to 0-4, 0-1 SIAC. Down 11-6 with 12:00 remaining in the half, Morehouse went on a torrid 27-10 run including a 15-0 run to end the half and taking a 33-19 lead into the locker rooms. The Maroon Tigers had their highest lead of the game at 20 points when they led 65-45 with 5:24 remaining in the game and cruised to the 73-58 win. Senior forward James Walker (Stone Mountain, GA) again led MHC as he finished with a game-high 17 points and nine rebounds while connecting on three field goals from behind the arc. Senior forward Omar Alston (Waldorf, MD) picked up his third double-double of the season, scoring 10 points while snatching down 12 rebounds. Junior point guard Michael Olmert (Atlanta, GA) had a game-high 13 dimes, seven points and four rebounds in the win. TU was led by Greg Boyd who finished with 15 points in the losing effort. Morehouse won the battle on the glass 44-36 including 18 on the offensive end. MHC also forced 22 Tuskegee turnovers which resulted in 25 points. The Maroon Tigers return to actions on Monday, Nov. 26 as they host the Golden Bears of Miles College in Forbes Arena. The tip is set for 7 p.m. ET. Admission is Free.